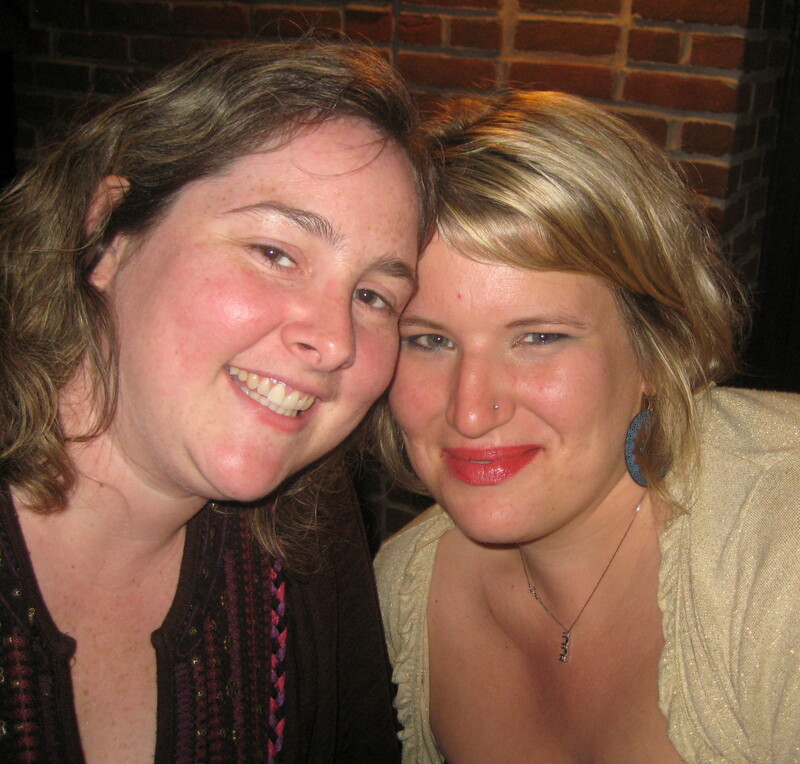 My bestest friend was in town this past weekend, so we decided to revisit the old days by frequenting some Tremont bars. 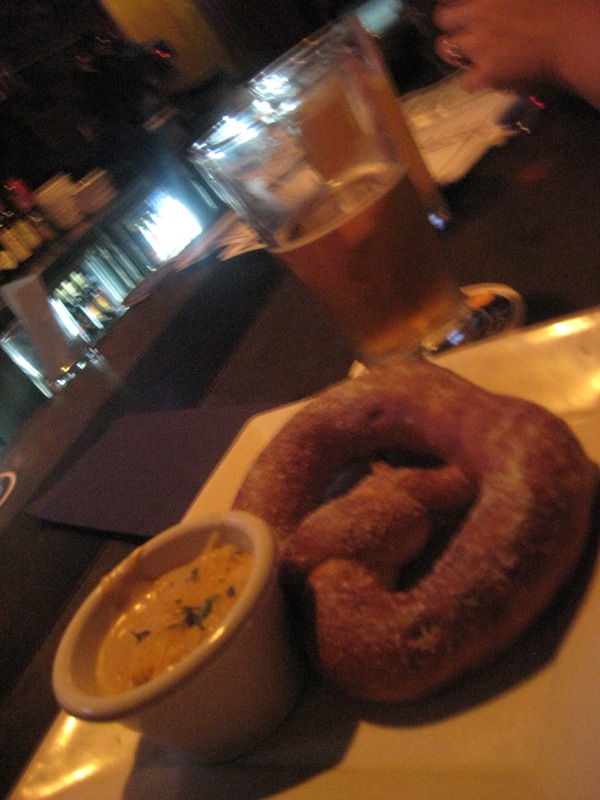 We started out at the Tremont TapHouse, which came highly recommended (and for good reason!) for their pretzel. The stout beer cheese dipping sauce was the real selling point. I could have drunk an entire glass of that cheese dip. Mmmmmm, cheese. When we first entered the bar, a group of women who were hanging around the entrance greeted us. “We’ve been waiting for you ladies all night,” one lady said. We laughed somewhat bewilderedly and proceeded to the bar to find seats. Looking around, i noticed there were a lot of women in the bar. “Is this a lesbian bar? i hissed at Sarah. Then she looked around and we started laughing. Apparently, this bar was chosen as their meetings grounds for a monthly event. Of all the bars a single, heterosexual lady could end up in and it’s filled with lesbians. This is the plight of my luck. After sampling some of their eclectic drafts we headed for South Side Bar, opting for a patio table to enjoy the cool night air. 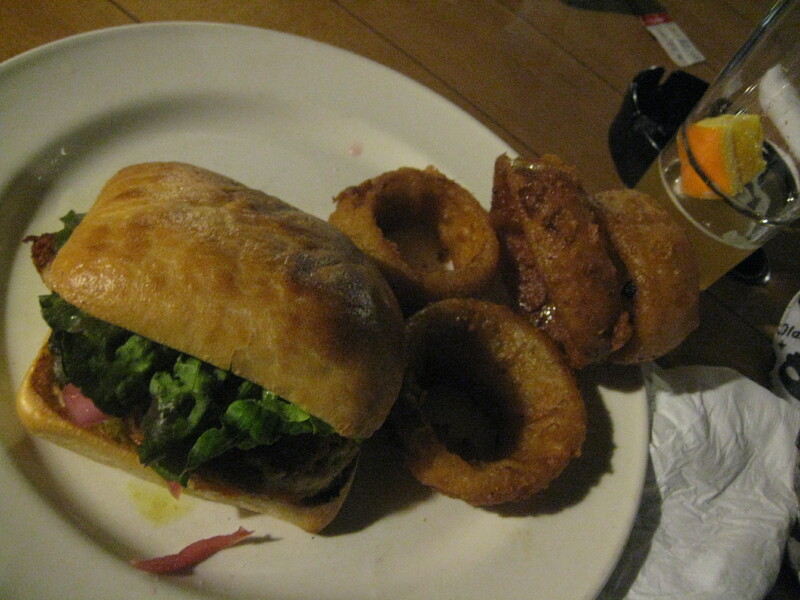 I ordered the asiago chicken sandwich with onion rings, which may have been one of the best sandwiches i have ever had. The basil pesto spread was heavenly. Sarah ordered fries with a variety of dips. My favorite was the cucumber wasabi. Holy yumminess! I definitely want to return and try some other menu items. We finished off the night with martinis at Lava Lounge, which i remember having a lot more lava lamps. After chilling for a while on the comfy couches, we headed back to the half covered patio. This is one thing i’m looking forward to about summer….relaxing outside on a patio with a good drink in hand. I miss having Sarah around. We’ve had so many fun adventures together! I miss having a friend i can be myself with and not have to feel awkward about sharing feelings to.